Owners of gas stations can make their businesses even more accessible to customers by offering services and features to enhance the user experience. Here are some car wash machines you can consider installing at your gas station in addition to fuel. Gas station owners can offer consumers more than a refuel opportunity when they install a car wash system. When in a rush, getting your car cleaned with an automatic car wash machine can be a time saver. A touchless car wash experience offers a thorough cleaning, washing every surface and can be better at protecting a car’s paint. They are priced starting at $5 per wash and can run up to $30, however the average price is around $15. Some gas station business owners can install in-bay automatic machines or opt for a drive-through tunnel wash. Both options are great if your clientele includes on-the-go types as automatic car wash systems offer consumers a quick service without much fuss. Consumers pay for the minutes they use with self-serve car wash machines. A tunnel wash system or in-bay machines can be expensive investments and choosing to install a self-service car wash system might be a better choice. 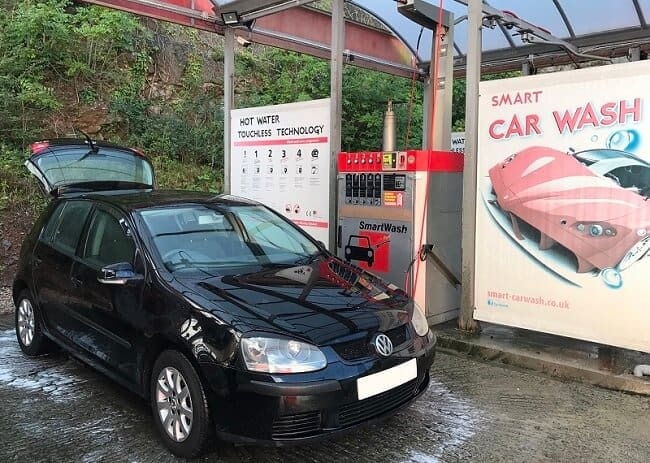 Self-serve car wash stations are less labor intensive for managers and allow gas station owners to take advantage of the growing car wash market. These hand operated machines give customers the option to wash their car at the gas station, offering good hose pressure to remove dirt and give their car a thorough cleaning without needing to fork over a fortune of money. A customer will pay for the minutes they use the machine and there are upsell options too. Selling car wash products or car care items in a car wash vending machine can be very useful for consumers who choose to use your gas station car wash. They are also a way for unattended owners to pursue more revenue opportunities. These vending machines can be filled with shampoo, towels, and polish for cleaning cars or car care products like glass cleaners, air fresheners and tire protectants. Add tire air dispensers and car vacuum machines to offer further car services at a gas station. There are further services a gas station can offer consumers, like air/vac. Consumers filling their car with gas might also choose to pump up their tires, whereby an air dispenser machine installation is useful. 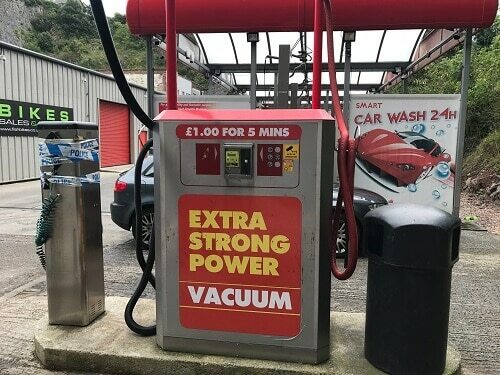 To further upsell a car wash a gas station owner might also consider installing car vacuum machines, allowing consumers to clean car upholstery and other nooks and crannies inside their vehicles. In addition to car washes, gas stations can offer dog wash stations. Another upsell machine gas station owners can install is dog wash stations. Some people travel with their dogs and want to give their dog a good cleaning. With warm water and gentle water this is a cheaper option than going to the groomer, and a lot less difficult than washing a pet in the yard or wrestle with them in the tub at home. With a ramp, tub and blow dryer, consumers pay for the services and minutes they use. Like with car wash machines, you can sell pet care supplies in a vending machine, such as shampoo, flea solutions, or toys. Unattended machine installations like car washes, air/vacs and vending machines enhance your consumers experience and provide gas station owners with the chance to improve their revenue opportunities. If you’d like to find out how the unattended machines in your gas station can go cashless or access remote management capabilities, contact Nayax today.